Francis Moran & Associates > Marketing strategy > Is the ‘last mile’ of sales automation keeping your reps from closing more business? Is the ‘last mile’ of sales automation keeping your reps from closing more business? A recent CSO Insights survey found that B2B sales people spend an average of 57 per cent of their time on things other than selling. In my 33 years in the technology business doing sales, managing sales teams and building software businesses it has always felt like something was missing in the way we automated sales and this egregious productivity measurement supports this feeling. Now I can finally articulate what it is that’s missing. 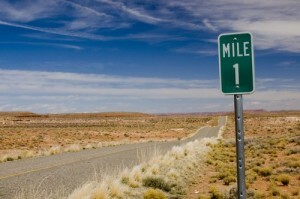 It’s the “last mile” of sales automation. In spite of all the investment in CRM (customer relationship management), SFA (sales force automation), sales enablement tools, marketing automation, web conferencing and the plethora of other tools, most (95 per cent, in fact) are still using bespoke methods and tools to communicate with prospects and customers. So what is missing? What will help every sales person reach more customers, manage more opportunities and close more deals? There isn’t a single integrated tool that enables a sales person to select the individual they need to communicate with, tailor a specific sales message for that individual and then deliver the message in person, in a web meeting or through a messaging system best suited to the customer while automatically tracking the activity and the customer’s engagement with the message. This is the last mile of sales automation and where there is the most significant opportunity for productivity gains for most B2B sales teams. Customer CRM, SFA (including contact management) and web conferencing are the most common investments for sales teams. So let’s look at these in a little more detail. This is what Saleforce.com, Microsoft Dynamics, Oracle/Siebel and many others are designed to do. The aforementioned also includes SFA capability that is integrated. This is the module that sales people are most familiar with and why many use CRM and SFA together. In fact, the competitive enterprise CRM vendors invest heavily in helpdesk/customer support, along with integration with ERP and marketing automation, in order to address events along the full lifecycle of customer engagement. When I think about why we hire sales people I think about a lot of things. Cold calling, targeting, proposing, quoting, account management, customer relationships, selling and all the administrative things we require as well. When I think this through and dig deeper for the most basic function that I am hiring a sales person to do, the core thing that they must do well in order for my business to succeed boils down to this: They must deliver the right message to the right person at the right time in order to influence a purchase decision. Most all else is context. With this in mind, it becomes apparent that CRM and SFA systems are optimized for companies and management and not for the core thing sales reps are hired to do. Sure they help significantly with effectiveness of a single call through research, tracking and scheduling but they don’t help the rep do more of what we hire them to do. Sales people are, by and large, not big fans of CRM and besides the obvious loathing of anything administrative, I think I know the real reason now. CRM does not help them do more of what they need to do so they can exceed quota. That is, deliver the right message to the right person at the right time in order to influence a purchase decision. Many sales reps and management teams use a mix of bespoke tools to help with these tasks. Use of web conferencing is prevalent, online file sharing tools, email, social media aggregators like Hootsuite or Tweetdeck and so on. Those who really get it use marketing automation tools and content management systems to help them with lead management. Did you know that only five per cent of B2B marketing teams use marketing automation? The rest rely on sales to nurture the leads that marketing generates. Sales people use marketing automation or email marketing and content management systems to help them deliver more of the right messages to more people at the right time. This allows them to more effectively nurture their own leads. They do this because they know that 79 per cent of leads supplied by marketing do not convert to opportunities. On the flip side, they know businesses that use lead nurturing have a 451 per cent improvement in qualified leads and these leads generate 18 times more revenue! It also means more juggling of systems and tools and with each additional tool comes more overhead. The motivation is there to take all of this on because it is getting harder to sell using only traditional tools. Integrating these tools into one easy use workbench seems like a good idea to me. Why is it that sales reps are expected to juggle all of these tools? Why is it that CRM and SFA software consistently focus on back-end tasks and leave the last mile of interacting with prospects and customers to the sales rep alone? If you are sales rep, sales manager or marketing manager you owe it to yourself, you team and your company to seek out solutions that integrate the key ingredients that will make each sales rep more productive and leave all the juggling to the software. Productivity gains are achieved not by the tools themselves, but by how little time the sales rep must spend using the tools. With more than 30 years spent in companies large and small — from the Microsofts and EDS Systemhouses of the world to fast-growth startups — Jeff has a thoroughly rounded perspective on exactly what it takes to bring technology to market. He offers business development advice forRemoteRep® from Coretex Group Inc, a novel e-based system that connects marketing with sales and provides real time feedback and response mechanisms.